The Dim Sum Diaries | Harakan-S | "One cannot think well, love well, sleep well, if one has not dined well." Hong Kong is home to Japanese restaurants galore; there’s yakitori, robatayaki, sushi, ramen, teppanyaki…you name it. What many of these restaurants fail to master, however, is a comprehensive menu that is suitable for vegetarians and non-vegetarians alike; a menu that offers incredible seafood and meat options as well as more than a few options that appeal to those vegetable lovers amongst us. Now I’m clearly no veggie, but I do have a lot of vegetarian friends, and sometimes dining at Japanese restaurants with them can prove to be quite a boring and unsatisfying experience, to the extent that I actually avoid Japanese outlets at all costs. Harakan-S, a Japanese fine dining restaurant in the heart of Causeway Bay, however, is trying to change this. 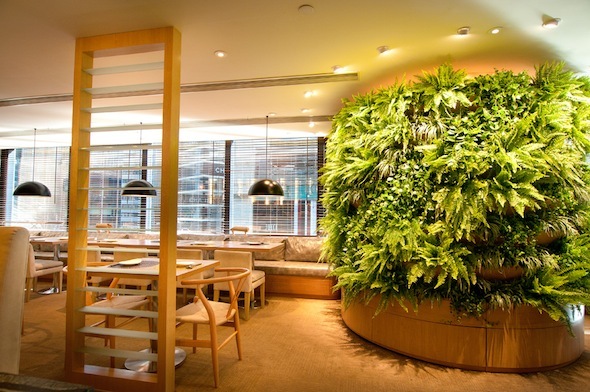 The newly renovated restaurant exudes a calm, relaxing feel amidst all the hustle and bustle of Causeway Bay, with beautiful potted plants dotted with colourful butterflies adorning the walls. It has recently introduced its ‘Green Dining’ menu, which not only offers more vegetarian dishes, but offers exciting and unique vegetarian dishes. As an added incentive, Wednesdays at Harakan-S are ‘Veggie Wednesdays’, with 50% off selected dishes. If it weren’t for the fact that the sushi and sashimi are so good, I would probably be drawn in by this vegetarian discount. Having never been to Harakan-S, we thought it only right to sample a variety of both vegetarian and non-vegetarian delights, starting with the veggies. Those who know me will know exactly how I feel about salads; a salad must excite me or I consider it a pointless waste of stomach space. 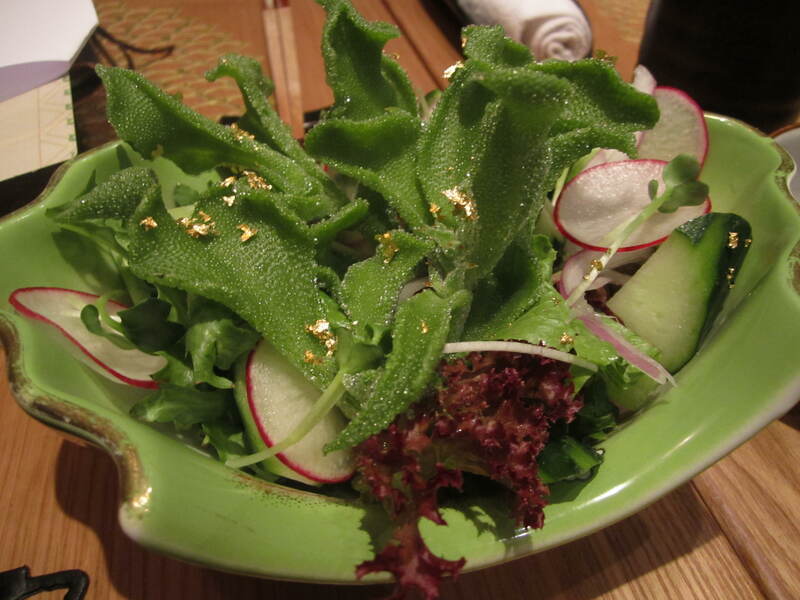 The two salads we were served as appetisers, the Okinawa Barafu Salad and the Kumamoto Oyster Salad with Homemade Dressing, were certainly exciting to say the least. The former is made with the most interesting leaves I have ever seen; they appear to be covered in droplets of water, but that is actually how the leaf (which can only be found in the Japanese region of Okinawa) grows. The texture is similar in a way to that of cucumber, with slightly less of a crunch, filling the mouth instantly with the refreshing taste of summer. The second salad is made with oyster leaves, which interestingly actually taste like oysters, due to their being grown in the Netherlands in soil that has been infused with oyster shells – bizarre, but it works! 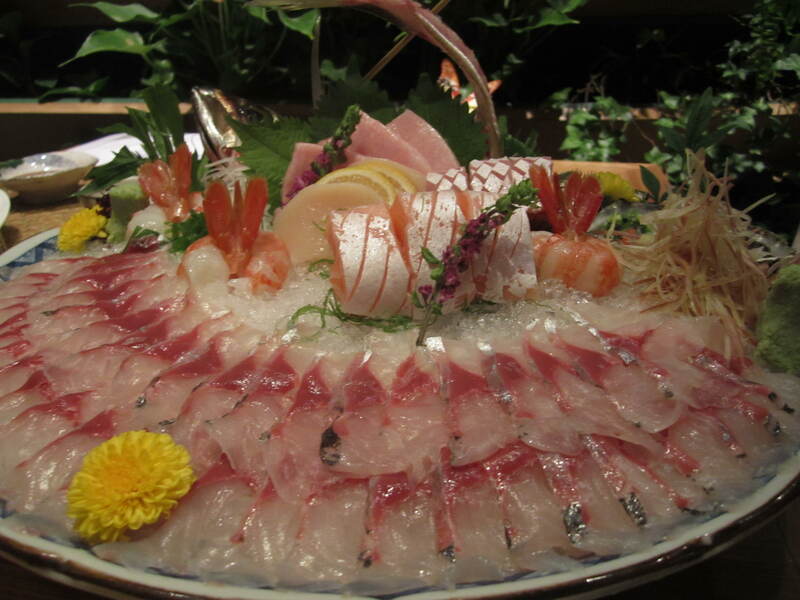 Following this, a beautiful and enormous platter of sashimi was presented before us including toro, shrimps, scallops, yellowtail, salmon and aji, my favourites being the melt-in-the-mouth salmon and the paper-thin aji. The seafood, which is all flown in from Japan, is so wonderfully fresh, and just the fact that it is served on a mound of ice keeps it even fresher. Individual assorted platters of sushi awaited our excited bellies next: salmon, fluke and snapper nigiri, wagyu and sweet shrimp rolls, and California hand rolls, all again made with the freshest seafood. The one that particularly stood out for me was the wagyu and sweet shrimp roll; the contrast in flavours was intense and the delicate textures worked together perfectly. 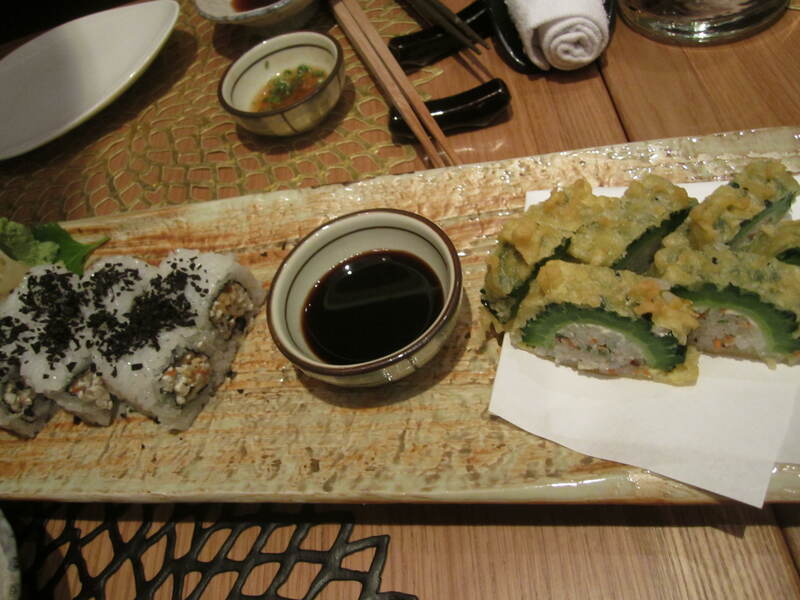 For vegetarians, Harakan-S doesn’t just serve boring cucumber sushi rolls, but instead serves Black Truffle Vegetable Maki or Okinawa Bitter Gourd Tempura Maki. Although the flavour of the black truffle wasn’t nearly as evident as I would have liked, the roll had a satisfying delicacy that worked well. The bitter gourd maki was exactly that: bitter. Personally I wasn’t taken by the gourd part, but the rice and vegetable stuffing was delicious. 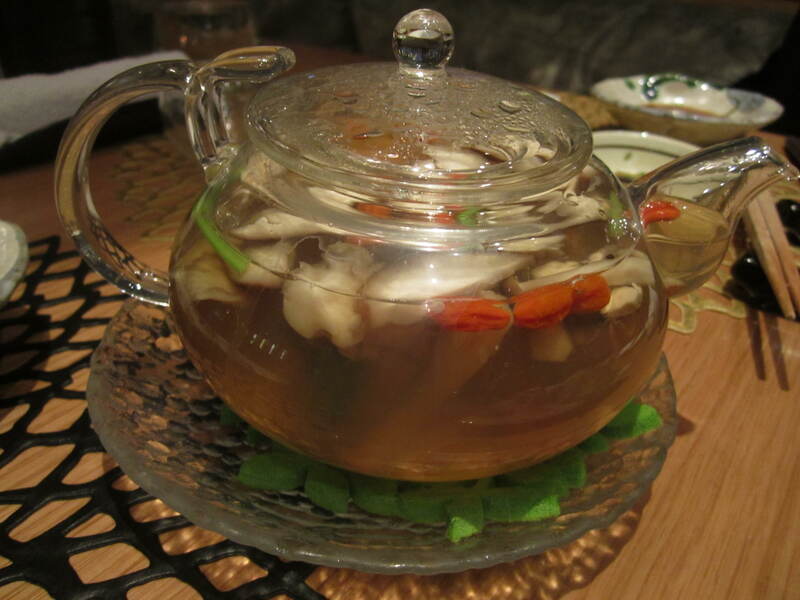 The Seafood Maitake Tea Pot Soup, served, as the name suggests, in a teapot, was divine: cosy, comforting and flavoursome, dotted with tangy goji berries. 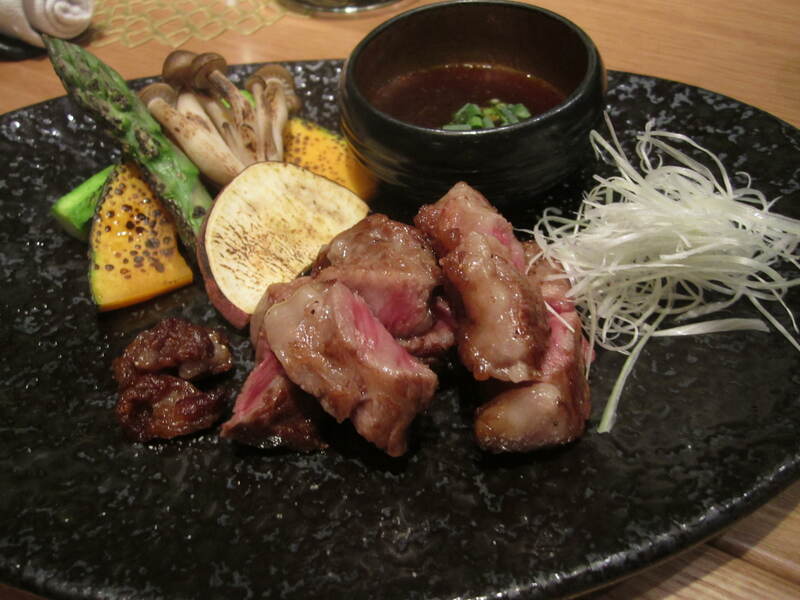 A downsized plate of Salt-grilled Wagyu A5 Steak followed. The beef was cooked to perfection and melted in the mouth, but unfortunately the same could not be said for the vegetables, which (apart from the mushrooms) were all somewhat undercooked. In line with the Asian custom, the Fried Rice with Seafood was served last, just when we were almost bursting at the seams. 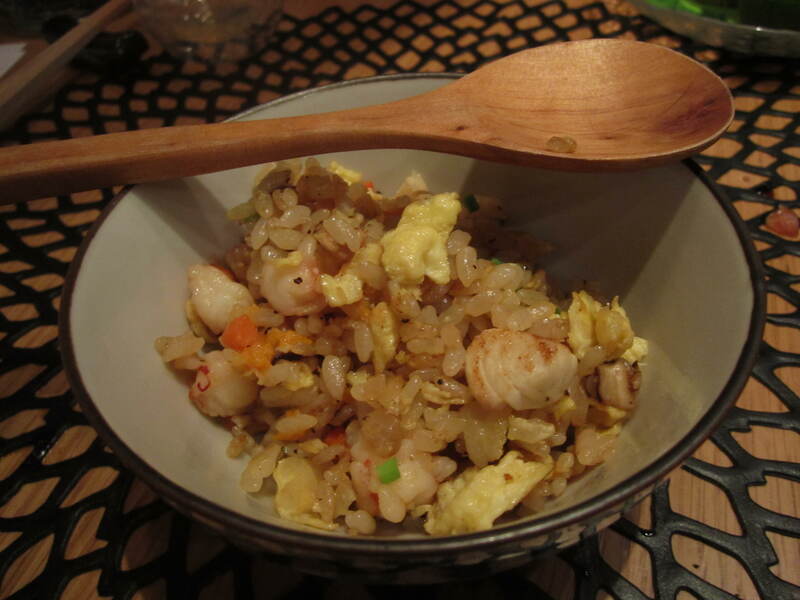 However, fried rice for me is the perfect comfort food; back in The Fussy Days fried rice was pretty much all I would eat. So despite being ready to pop, we all devoured our bowl without a thought to the waistline. For dessert, which obviously fits into its own stomach compartment, we were served a Yuzu Crème Brûlée and a Lychee Panna Cotta. Both were light and delicate, at the same time as being comforting and indulgent. 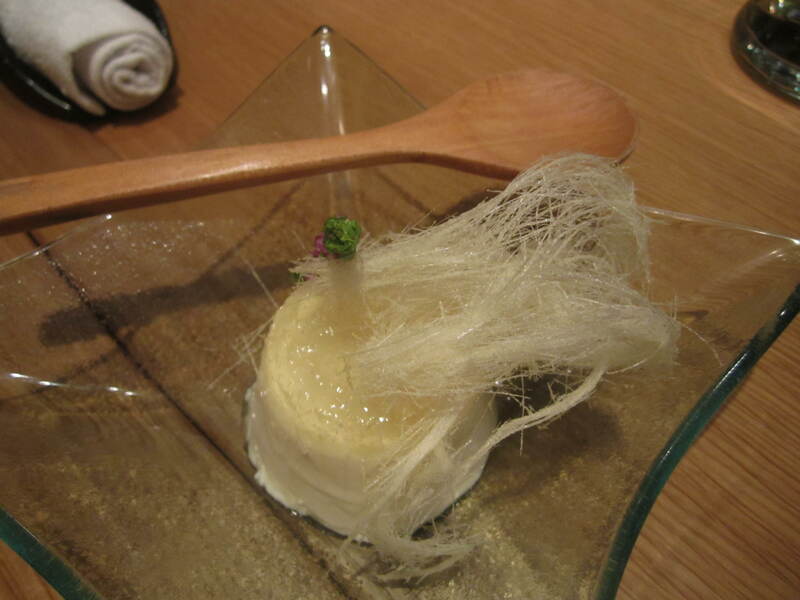 Of the two, I preferred the panna cotta, which had the extra excitement of the lychee jelly and was topped with delicious “fairy floss” as I have now been taught to call it. Australians, what are we going to do with them?! 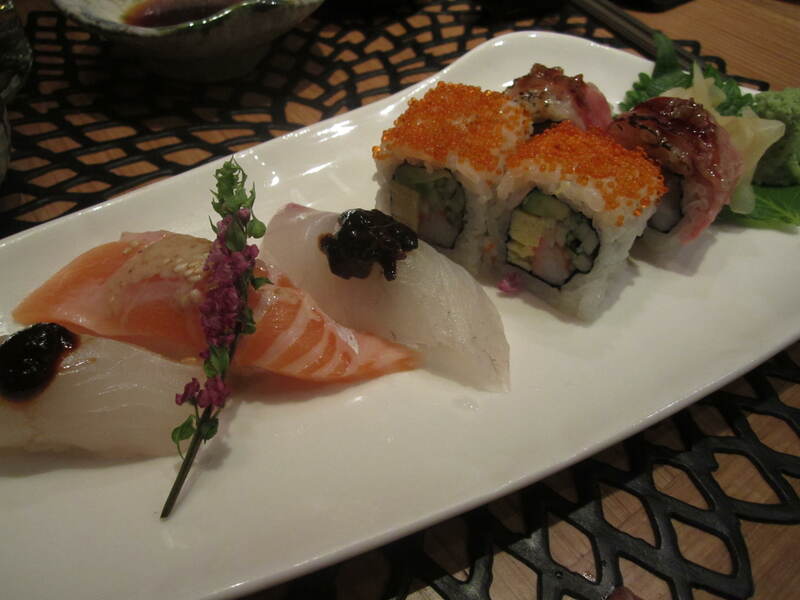 Harakan-S is more than just a sushi restaurant; it offers all the classics, executed to perfection, plus more. Vegetarians are really catered to, and are given more choices than they can probably handle. Prices (except on Veggie Wednesday) match the style and sophistication of the restaurant, so don’t expect a cheap meal. What you can expect, however are unique, tasty dishes served in a beautiful setting by friendly staff. I know! So cute! It was tasty too!